Since becoming President Donald Trump has taken a strong line on North Korea, the main thrust of which is that China has to do more as they have unrivalled influence over the dictatorial regime. Trump has distilled the problem of Kim Jong-un's rogue nuclear-armed state into a situation whereby China is willingly slacking and forcing America to take action alone. Then on Tuesday, Trump had a call with Chinese President Xi Jinping where he told him as much. In response Xi briefly explained the history of the relationship between China and North Korea. North Korea is said to be readying for its sixth nuclear test. "After listening for 10 minutes, I realised it's not so easy. Felt pretty strongly that [China] had a tremendous power over North Korea. But it's not what you would think." In summary, despite having access to the State Department, the most powerful intelligence agencies in the world and Google, Trump had to be told that one of the most dangerous geopolitical situations in the world is in fact a bit complicated. What should worry Americans even more is that this information, which clearly had a profound effect on his worldview, came from his main international rival. 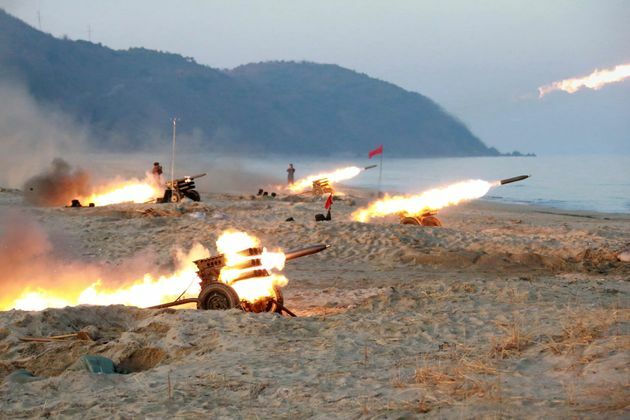 China's calls for calm come as tensions have risen with the dispatch of a US aircraft carrier off the Korean Peninsula and the deployment of thousands of US and South Korean troops, tanks and other weaponry for their biggest-ever joint military exercises, reports the Associated Press. During their phone call, Xi told Trump that China is willing to continue working with the US on denuclearisation, according to a brief description of the call released by the Chinese foreign ministry. "China insists on realising the denuclearisation of the peninsula, insists on maintaining peace and stability on the peninsula, and advocates resolving the problem through peaceful means," Xi was quoted as saying. The two leaders spoke Tuesday night Washington time after Trump said an "armada" of vessels including the USS Carl Vinson carrier was steaming to waters off the Korean Peninsula in a show of force. Trump tweeted Wednesday: "Had a very good call last night with the President of China concerning the menace of North Korea." 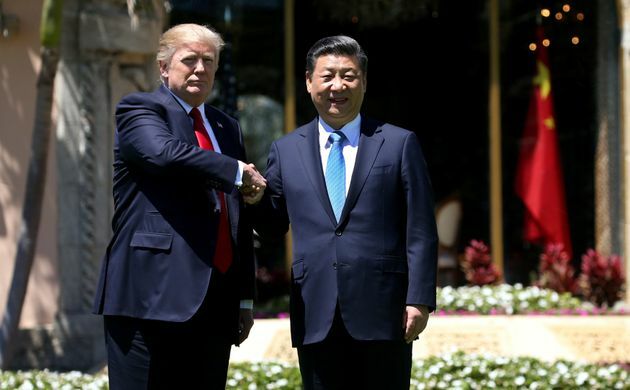 Chinese foreign ministry spokesman Lu Kang said at a regular briefing in Beijing on Wednesday that it was a "good thing" that the two leaders were in touch again days after meeting in Florida. Regarding the US Navy strike force's arrival in the western Pacific, Lu said: "We hope all parties will refrain from irresponsible actions that would be very dangerous at the moment." 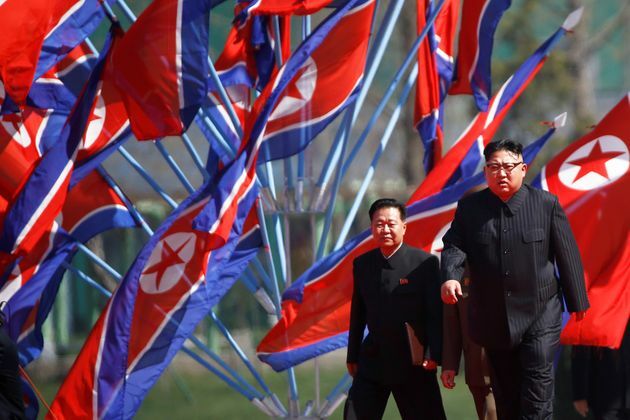 North Korean state media has warned of a nuclear attack on the United States in retaliation for any signs of aggression, a threat that has been made numerous times before. Earlier Tuesday, Trump suggested the US could "solve" the North Korea issue unilaterally. "North Korea is looking for trouble. If China decides to help, that would be great. If not, we will solve the problem without them! U.S.A.," Trump tweeted. In another tweet, he sought to persuade Xi to put pressure on North Korea in exchange for a good trade deal with the US. He wrote: "I explained to the President of China that a trade deal with the US will be far better for them if they solve the North Korean problem!" Trump and other US officials have repeatedly called on China to leverage its status as North Korea's biggest economic partner and source of food and fuel aid to force Pyongyang to abandon its nuclear weapons program. China says it is in full compliance with sanctions enacted under UN Security Council resolutions. In February, China suspended imports of coal from North Korea - a key source of foreign currency for Kim Jong Un's hard-line Communist regime. The US and other foreign governments have long overestimated China's ability to affect Pyongyang's behavior, said Ruan Zongze, a US relations expert at the China Institute of International Studies, a think tank run by the foreign ministry. "There's a view that China possesses the key to solving the peninsula problem, or that China has the faucet and that all China has to do is shut it off and the peninsula issue is solved," Ruan said. "In fact, I think the outside exaggerates the sort of role China can play. China isn't really as influential as all that," he said. Beijing's insistence on a peaceful approach to resolving the issue is rooted in its belief that any attempt to denuclearize the North by force would bring cataclysmic results upon all sides, including China, Ruan said. "When it comes to the issue of the Korean Peninsula, violence is not an option," he said. Beijing says it will not countenance measures that could bring about a collapse of the regime that could release a flood of refugees across its border, destabilize northeast Asia and result in a U.S.-friendly government taking power in Pyongyang.